Whether you love or hate his controversial body of work as a filmmaker, one would be hard pressed to find another director in the industry today that can match Quentin Tarantino’s skill as a screenwriter. Each of his full length feature films are characterized by an oftentimes twisted blend of brutal violence, humor and brilliant dialogue. I have seen just about every movie he has written, from the two part samurai story of, “Kill Bill” to his most recent epic western, “The Hateful Eight” (pride-fully marketed as his … eighth film). I completely respect Quentin Tarantino’s incredible ability to deliver an entertaining, oftentimes nonlinear storyline fueled by extended scenes of dialogue that demands the attention of the audience. 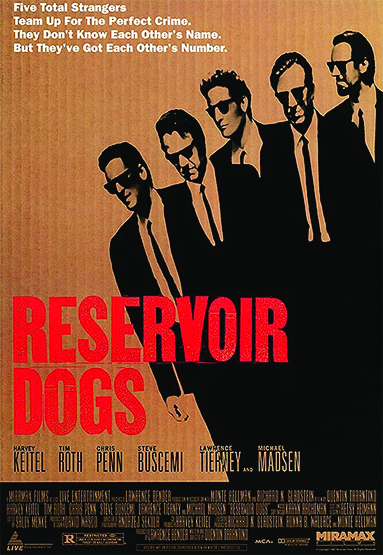 On the premise that his movies are practically in a category of their own, Tarantino’s debut film, “Reservoir Dogs” is perhaps the epitome of his genre, along with being widely considered one of the best independent movies ever made. According to the Internet Movie Database, the 1992 crime drama was a shot on a relatively small budget of just over $1 million, demonstrating that this film has earned the status of a masterpiece, due to outstanding storytelling instead of blockbuster visual effects. It is worthy to note, that the now iconic cast members, were far from A-listers at the time and a majority of the scenes take place in a single warehouse. The straightforward premise of this cult classic revolves around a group of criminals who join forces to perform a diamond robbery. However, we never actually see the heist and the sequence of events are revealed through a blend of nonlinear storytelling and flashback scenes. Another twist is that the gangsters have extremely limited knowledge of each other and are supposed to refer to one another by their assigned color (Mr. White, Mr. Pink, Mr. Blonde, etc.) Following the iconic opening diner sequence that perfectly sets up the rest of the film, we discover that the mission went horribly wrong and before long, it becomes a game of sorts, for the men to figure out who is the apparent police informant amongst them. 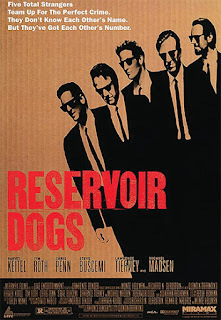 I cannot think of a filmmaker that burst into the industry in a more powerful, signature way than Quentin Tarantino; “Reservoir Dogs” is incredibly indicative of every film he has directed or written ever since. Simply put, each action and word of the film contributes to the story or character building, in one way or another, in a manner that never loses the interest of the audience. Anybody who hasn’t seen this gem should give it a viewing if given the chance (it seems to come and go from Netflix streaming). Watch out for continuing reviews of Tarantino’s directorial work in chronological order of release, with 1994s, “Pulp Fiction” coming up next. Matt Pascarella reviews the movie "It"